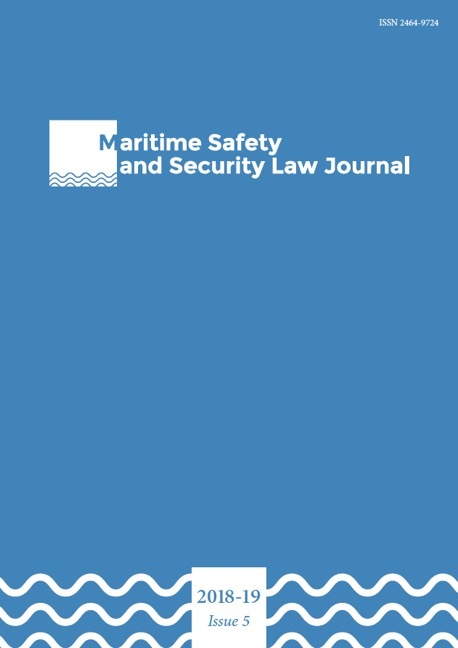 The quest for international legal instruments capable of regulating private maritime security companies (PMSCs) efficiently has been previously explored in-depth, but few scholars or practitioners have anticipated the rise of a new kind of regulation instrument coming from outside the traditional circles of regulators composed of states, international organizations and the maritime industry. Traditional international law instruments have been unable to create international solutions for the specific issue of PMSCs and the outcome is the rise of specialized private soft law instruments. This article focuses on one of these soft law instruments produced by an outsider: the ISO/PAS 28007-1:2015. The hypothesis is that arrival of the International Standardization Organization (ISO) on the private maritime security regulation field is the consequence of both the rise of ISO standard as a powerful regulation instrument in maritime matters and societal security matters, and the very specific configuration of international law on PMSC regulation. The contribution explores the logic by which the international regulation landscape opens the door to the ISO initiative, how the ISO came to invest the issue of PMSCs, and raise some of the potential legal implications of the ISO/PAS 28007-1:2015.